← Free Ivy League education anyone? And so the Web is up in arms over the death of the genius, inventor of the RSS and co-founder of Reddit, Aaron Swartz, who took his own life in his Brooklyn apartment last Friday. 26 year old Aaron, a veteran of the start-up scene, astute programmer and web campaigner, became famous even at a much younger age than Bill Gates or Steve Jobs. And like a shooting star, he exited speedily, leaving a streak of light shimmering in the dark clouds. His well documented life and heavy online presence has been severally catalouged. His fracas with the US judicial system, which has been attributed as the cause of his suicide, is public knowledge; but it seems that like most geniuses, like the demi-gods of Greek lore, Aaron Swartz was flawed. 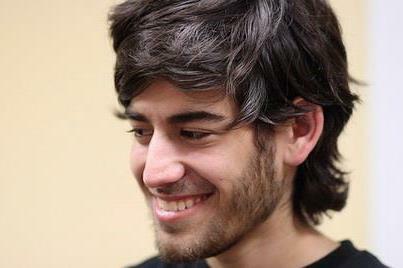 Inspite of his successes, one of which was playing a major part in defeating SOPA, Swartz seemed to grapple with depression, with a condition he said made “you feel as if streaks of pain are running though your head, you thrash your body, you search for some escape and find none…” Referred to as a “complicated prodigy” by Prof. Crawford, according to the New York Times, one wonders why masterminds always come flawed. As if the gods, like the Olympians of Homer, are up there playing Russian roulette with the destinies of men. As exchange of words fly to and fro: and internet protests against his death begin with the postings of PDF articles on Twitter, I stay at my keyboard and ask, why? why? Why? Why didn’t the Timekeeper assign him a longer period? But instead gave him a name that sounds like that of a watchmaker – Swartz. And an ever-ticking brain to boot. Adieu Aaron. This entry was tagged Aaron Swartz, Homer, Reddit, sopa, Steve Jobs. Bookmark the permalink.